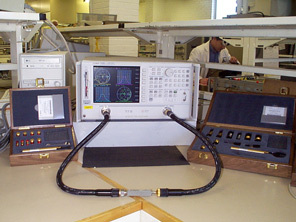 Absolute Calibration currently calibrates passive and active devices to 18GHz. 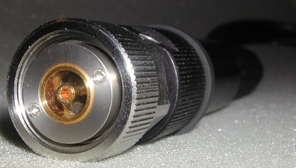 Attenuation is possible to -130dB at uncertainties as low as 0.02dB. A 20GHz network analyser with S parameters provides full 2 port, 12 term error correction in both 'N' type and 3.5mm. S21/12 uncertainties of 0.05dB and S11/22 VRC uncertainties of 0.01 can be expected. When it comes to power, Absolute Calibration can generate 100 watts of power from 250kHz to 1000MHz with uncertainties of 2.5%.